There are plenty of magazine outlets for luxury travel stories. These include regional, national, and international magazines and newspapers. Regional magazines are a good place to start. In fact, they make an ideal place to kick start your luxury travel writing career because they’re far easier to break into than the big national publications. Most regional magazine editors prefer to work with local writers who know the subtle nuances of the places they write about. 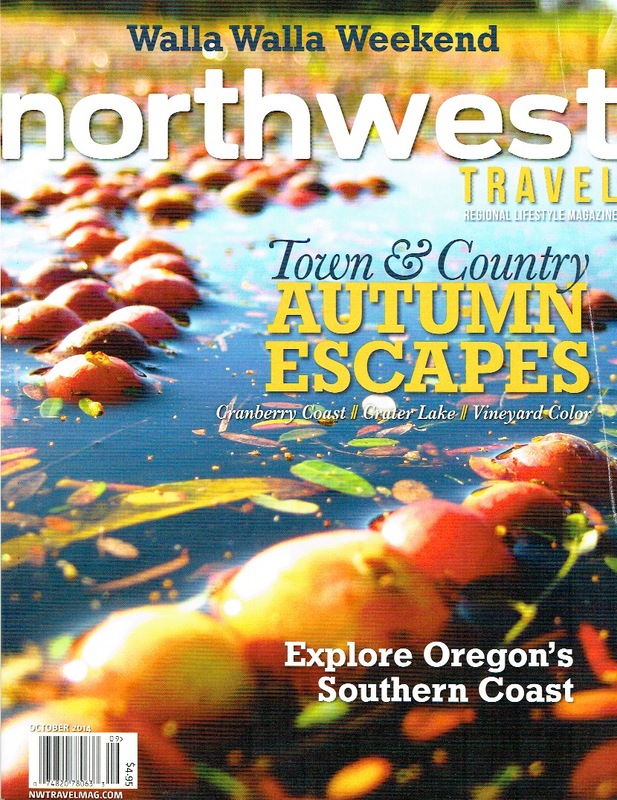 I often write luxury travel stories for my favorite Pacific Northwest regional magazine called Northwest Travel. This magazine runs several upscale luxury travel, accommodation, dining, or shopping stories in each issue. And I’ve had some superb trips around the Pacific Northwest from these assignments. Also, pitch stories to your regional travel magazine’s close cousins, Lifestyle magazines. These also tend to have a strong focus on luxury travel and accommodations. There are usually several of them in every region, and their editors are screaming out for good luxury travel and lifestyle writers and stories. Start with the lifestyle magazines in your region. It’s also good to pitch your luxury travel stories to any magazine where you think your story will be a good fit. There are many ‘pure’ travel magazines that run occasional luxury stories. Look first at the travel magazines that you regularly read, and browse the shelves at your local bookstore. Always be sure to focus on the magazines that cater to luxury, rather than budget travel. Pitching luxury travel stories to budget travel magazines is a faux pas of almost unforgivable proportions, rather like throwing holy water on a vampire. There are 17,000 magazines and newspapers in the English-speaking world, and included in this astonishing figure are numerous specialty magazines. Beyond the obvious luxury and standard travel magazines, you should also look for magazines in your story’s particular niche. For example, query train magazines about that exotic train trip you are planning across Siberia, and pitch boat magazines about your upcoming luxury barge cruise down the Burgundy canal. Pitch spa magazines your spa and resort stories, and so on. I’ve published an eBook with lists of 100 Print Magazines that Want to Publish Your Travel Stories. Many of the magazines in this eBook also publish luxury travel stories. I’m sure you’re wondering by now if your outlets have to be national, six- figure circulation magazines to qualify you for luxury travel assignments? This is a valid concern. Your outlets need to provide enough “oomph” for luxury resorts and destinations to be interested in hosting you. Luxury resorts and destinations in another country (or even in your own country) are probably not going to be interested in hosting a travel writer representing a small suburban newspaper from Nowhere, Idaho, or Kaukapakapa, New Zealand. But, there are always exceptions. A lot depends on your resort host and what they’re willing to accept. In my experience, this varies tremendously. I’ve been pleasantly surprised when some of my lightweight outlets have got me luxury travel gigs. One of my best assignments ever was for a small upscale expat magazine with a circulation of less than 1,000. The resorts just happened to be appealing to the expat community, so my modest assignment was still worth their while. You never can tell who will go for your story and who won’t. I’m often surprised. When in doubt, approach your luxury property or destination target with your request, no matter how modest your outlet. The worst that can happen is they politely decline your offer. And sometimes they come through. But if you don’t ask (politely) you’ll never know. Thanks to the internet there’s been a revolution in the travel writing business. It seems like everyone and their dog has a travel blog or website today. Which begs the question: Can you use travel websites for luxury travel assignments? The short answer is, yes, you can. Many travel website editors and travel bloggers regularly use their outlets to score luxury travel assignments and press trips. The overall model is about the same as with print travel media. Just as small suburban newspapers and low circulation regional magazines are not likely to be taken seriously by luxury destinations and resorts, an amateurish travel blog filled with typos, poor grammar, and badly written stories about how drunk you got a Mazatlan last Christmas is not likely to get you luxury travel comps. And just as importantly, a travel blog read only by your grandmother and a few close friends won’t be taken seriously by luxury resorts and destinations. Your travel blog needs enough “oomph” (translated: readers and traffic) to get the attention of the media reps at the resorts. If you already have a travel blog, you know it takes several years of hard work to build up a solid base of traffic and readership. No matter how much (or how little) traffic you get on your blog, it’s still worth pitching to your destination. Just be honest about your traffic statistics and readership. Resort and destination media professionals are using several sophisticated diagnostic tools to assess the “worthiness” of your travel blog or website, so they will weed out anyone trying to inflate their numbers. These analytic programs tell them a lot about your site, and sometimes about your writing experience. It’s not difficult for them to find out whether you’ve been published before, where you’ve been published, and whether you’re a “media influencer”. So don’t enhance your figures - they will be able to tell this very quickly, and will politely decline your request. 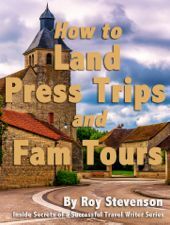 But, if you own a travel website or blog that has impressive, verifiable data, you could likely find yourself being invited to attend press trips to some exciting places. You can find lists of print magazines and travel websites that publish luxury travel articles in my soon to be released book “How to Break Into the Luxury Travel Writing Market”. Be watching for an announcement in my weekly ezine - sign up here if you aren’t already a subscriber. I always give subscriber discounts the first few days after I launch a new product.